With its large population of higher educated active duty and retired military members, national defense contractors, physicians and other professionals, the Niceville community places great emphasis on education and good schools. Niceville students and schools regularly outperform schools statewide in academics, and innovative curriculum and programs. Parents are a welcome asset to Niceville schools and parental involvement and participation is encouraged at all levels.The Niceville-Valparaiso Community is home to a handful of elementary schools, middle school, STEMM Institute (Science, Technology, Engineering, Math and Medical), high school, collegiate high school, Christian school, and a state college (Northwest Florida State College). Extracurricular activates are abundant. Both boys and girls sports are highly supported by parents, individuals and local businesses. Home games for the Niceville High School football team are often standing room only, and the high school’s marching band, The Eagle Pride, is as highly supported by the community as the football team. Niceville schools are part of the Okaloosa County School system. The Niceville area has two full service marinas, and another is located on the other side of the Mid-Bay Bridge in Destin. The full-service marinas offer both dry storage and wet slips. There are a number of smaller docks and marinas along the Niceville shore of Boggy Bayou with wet slips for rent. In addition, there is fenced outdoor storage available at a few locations around the area.The Niceville area has two full service marinas, and another is located on the other side of the Mid-Bay Bridge in Destin. The full-service marinas offer both dry storage and wet slips. There are a number of smaller docks and marinas along the Niceville shore of Boggy Bayou with wet slips for rent. What was once a market dominated by older homes and fixer uppers is now full of updated homes, as well as a bit of brand-new construction! 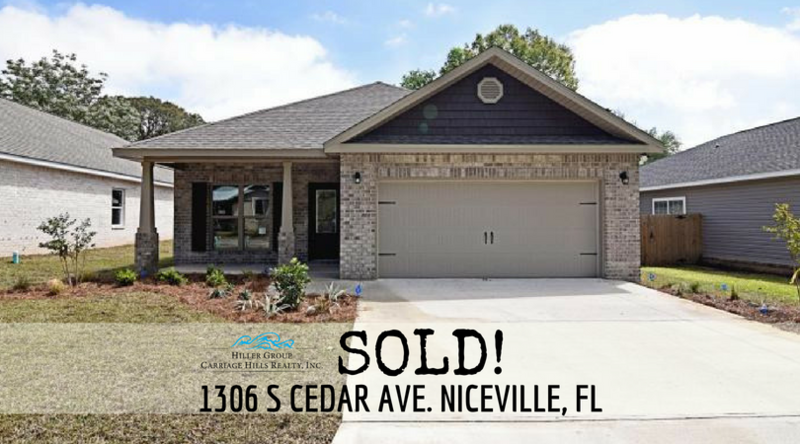 The market is HOT in all of Niceville, FL but Rocky Bayou inventory is moving especially fast. Average days on market in 2017: 23 days ..... average days on market in 2018: 8 days. If you have any questions regarding our statistics, the sales process, or your home's market report feel free to reach out! We are always happy to help. Niceville is proud to be the bedroom community of Eglin Air Force Base, and we are proud of the many heroes living among us. Niceville gives its best to active duty members of the military and their families, and we are eager to welcome retired veterans to their new hometown. Niceville salutes you! Eglin Air Force Base is the home of the Air Armament Center (AAC) and is one of four product centers in the Air Force Materiel Command (AFMC). Eglin has been the area’s major employer since 1935. Serving as the focal point for all Air Force armaments, the AAC is the center responsible for the development, acquisition, testing, deployment and sustainment of all air-delivered weapons. The host wing at Eglin is the 96th Air Base Wing (96 ABW) whose mission consists of supporting the Air Armament Center and the several tenant commands and associate units with traditional military services as well as all the services of a small city, to include civil engineering, personnel, logistics, communications, computer, medical, security, and all other host services. Critical to the success of Eglin’s mission, the 96th Air Base Wing provides a large number of base operating support functions. The Eglin range, managed by the 46th Test Wing, is the largest Air Force base in the free world. Its 724 square miles of land range occupies much of the Northwest Florida panhandle. Its 101,000 square miles of air space extends over the eastern third of the Gulf of Mexico, an area extending from the panhandle to the Florida Keys. Other major units based at Eglin include the 33rd Fighter Wing (home of the Department of defense F-35 integration and training effort), 53rd Wing, Air Force Research Laboratory Munitions Directorate, 7th Special Forces Group (Airborne), Navy Joint Explosive Ordnance Disposal School, 6th Ranger Training Battalion and the 20th Space Control Squadron. There are currently 9470 Active Duty Military, 4038 Civilian Employees, 575 NAF and 2957 Contractors at Eglin AFB. www.eglin.af.mil/index.aspEglin Air Force Base (East Gate) is located about 3 miles from the heart of Niceville. Home o f the 919th Special Operations Wing. The 919th Special Operations Wing, located at Eglin Air Force Base Field 3 (Duke Field), Fla., is the only special operations wing in the Air Force Reserve. The 919th SOW is a subordinate unit of 10th Air Force headquartered at Naval Air Station Fort Worth Joint Reserve Base, Texas, and the Air Force Reserve Command, with headquarters at Robins Air Force Base, Ga. In wartime or a contingency, the wing reports to Air Force Special Operations Command at Hurlburt Field, Fla., its gaining major command. The 919th SOW, in a classic association with the Air Force Special Operations Air Warfare Center, provides operations and maintenance personnel to support the aviation foreign internal defense and combat aviation advisor programs for the Air Force Special Operations Command through the use of the C-145A aircraft. The wing conducts U-28 and C-145A formal training unit flight instruction through a classic association with the AFSOAWC. It also employs the MQ-1 Predator unmanned aerial system in a geographically separated classic association with the 27th Special Operations Wing, Cannon AFB, N.M. The wing provides personnel to support AFSOC taskings and AFRC Air Expeditionary Force taskings relating to security forces, civil engineering, communications, logistics, supply, transportation, services and personnel functions. Duke Field is located about 12 miles from the heart of Niceville. Home of the Air Commandos since 1961, Hurlburt Field today accommodates the 1st Special Operations Wing (1 SOW), Headquarters Air Force Special Operations Command (AFSOC), an Air Force major command, and a number of associate units. Officially designated Eglin Auxiliary Field No. 9, it served as one of the small training fields built on the sprawling Eglin Air Force Range in the 1940s. General Grandison Gardiner, Eglin commander, named it for First Lieutenant Donald Wilson Hurlburt who was killed in an aircraft crash at Eglin Auxiliary Field #9 in 1943. The Eglin Military Reservation, to include the surrounding auxiliary fields, played key roles in the training of special operations rescue forces for operations such as the 1970 Son Tay Raid in Vietnam. When the 1 SOW was renamed the 16 SOW on October 1, 1993, it retained the heritage and honors of the 1 SOW, its predecessor designations, and the 16th Pursuit and Fighter groups. When the 16 SOW was redesignated the 1 SOW on November 16, 2006, it retained all the honors garnered by the 16 SOW. Hurlburt Field is located about 15 miles from the heart of Niceville. Have you wondered what's going on in the Bluewater Bay Housing Market lately? You will see plenty of real estate signs when driving around the region. It's nearly impossible to go a weekend without seeing at least one open house sign on a street corner... but as a prospective buyer looking in the region, there is not much out there! The sales price of homes in this region are up by 8.15% in June 2018 compared to June 2017. In June 2017 a home in Bluewater Bay was on the market for around 23 days. In June of 2018, that number has been reduced to a stifling 16 days norm. The take-home message for informed buyers and sellers? Every day counts when you're looking to buy or sell in Bluewater Bay. Buyers will need to make sure they are pre-qualified and ready to go when looking in this area. Buyers will also need a real estate agent that is keeping a very close eye on the market, or be prepared to check for new listings each and every day. Anyone looking to sell their home in this region will want to work with an agent that is up-to-date on all forms of digital marketing in order to maximize their ROI with a market that is so hot. Whether you live in the city or nearby, Niceville is a wonderful community to call home. Located in Niceville, Swift Creek is a planned community that capitalizes the area’s natural beauty. Swift Creek boasts very roomy lots, streetlights, coordinating mailboxes, a swimming pool, basketball, and tennis area. Family-friendly sidewalks line roads that meander along wooded hills. The Family Park, with playground, and amenities such as barbeque grills, picnic tables, and gazebos make for easy family gatherings. The nature trail winds through the community, offering beautiful views of the lake and trees. The clubhouse provides an excellent indoor venue for residents to utilize. Near the intersection of Partin Drive and College Boulevard, Swift Creek is conveniently located close to schools, shopping, the Northwest Florida State College, Eglin Air Force Base, and emerald-blue coastlines. Bayshore Place and Dana Point, in unincorporated Niceville, are two areas with newer homes. They have planned residential communities, and most homes are on gorgeous large lots. Many of these homes even have swimming pools. Many of the Dana Point homes, built in the early 90’s, have water front views of the Choctawhatchee Bay, Shirk Bayou, and Rocky Bayou. Dana Point has a picnic area and boat launch for residents only. Bayshore Place is newer, with homes built in mid-2000's. Of special significance to Swift Creek is Jason’s Trail, a 1.5 mile route through woodlands. The trail is designed to honor the memory of developer Walt Ruckel’s grandson. The trail has footbridges, boardwalks, goes up, down, and around – a very entertaining way to get exercise while taking in the great outdoors. Several rest areas along the way make it fun for all ages. In Old Niceville, watch the boats come and go at the marinas along Bayshore Drive. With several restaurants nearby, you can take in a meal and view Boggy Bayou simultaneously. Across the street is Lions Park, with boat ramp, fishing pier, picnic tables, and swimming area. Huge oak trees line the road along the water. Boggy Bayou provides natural beauty, with its wonderful, wide-open blue water. At night, the lights across the water create a spectacular sight, as Valparaiso’s homes light up the evening shores. A paved pedestrian walkway near Lions Park allows joggers, bicyclists, and families with tots in strollers a means of enjoying the stretch along Bayshore to Finck Street. Homes in Niceville, along Bayshore, Palm Estates, and Creekside, vary from modest to grand. There are waterfront homes, older starter homes, new town homes (attached single-family), and affordable student housing at apartments near the college. Behind Edge Elementary School, many families will come across the starter home they’ve been hoping to find. The area’s quiet neighborhoods boast affordable homes, near highly rated schools, Eglin Air Force Base, shopping, and close proximity to Northwest Florida State College. Plus, it’s just minutes away from one of Niceville’s gems: Turkey Creek Nature Trail, with covered picnic pavilion, boardwalk, fishing and swimming areas, and a chance to see turtles, herons, and the area’s native flora and fauna. Turkey Creek recreational area covers 20 acres. Just across the way from Turkey Creek is one of the newest developments, Swift Creek Plantation, where you can still purchase lots and have a custom home built. Niceville residents are also fortunate to have the Twin Oaks recreation complex nearby. Site of the annual Mullet Festival, it has huge soccer and baseball fields, and is one of the few places in the county where dog-lovers can take their pets for an outing at the dog park. A Youth Center skateboard arena is another Niceville amenity, located at the intersection of Palm Blvd and Campbell Dr.
Just east of Niceville and only a few minutes away from Eglin, is Bluewater Bay, an upscale planned community, covering approximately 2,500 acres of residential and resort development. A wide variety of housing options, such as condos, patio homes, townhouses, or single-family homes are available in Bluewater. Complete with a country club, a marina on Choctawhatchee Bay’s north shore, a 36-hole golf course, tennis complex, manicured surroundings, and 50 miles of paved roads, Bluewater Bay is home to over 3,000 families. Four swimming pools (Bay Drive, Glen Eagles, Woodlands, and the Parkwood Estates Pool) and several playground areas keep kids happy, and provide all ages a refreshing dip during those hot summer days. Miles of paved trails make for pleasurable jogging, biking, or walking. With electric, telephone, and cable utilities all underground; there are no wires overhead, so it’s literally clear skies for residents and guests. Bluewater Bay has four private, gated communities, a mix of residential and commercial properties, with restaurants, shopping, grocery store, and gym nearby at the Merchant’s Walk plaza. Unique to Bluewater is its boulevard, lined with many native trees and shrubs planted in memory of family members and presidents of the Bluewater Bay Garden Club. The resort, near beautiful Choctawhatchee Bay, is just minutes from Destin’s famous white sand beaches. One of Northwest Florida’s premier golf resorts, it is also open to the public. There are boats for sale near the 120 slip full-service Bluewater Bay Marina. Sailboats and power vessels berthed there have access to Northwest Florida s most beautiful bays and fishing ports. The Rocky Bayou neighborhood is a planned community with very nice, large lots and spacious homes built in the 90’s. It is located adjacent to the city. Subdivisions such as Huntington and Edgewater are sited at the edge of beautiful Rocky Bayou, with its basin opening to Choctawhatchee Bay; this means many residents have stunning, timeless water views year-round. Drive along any of the residential streets in Rocky Bayou and you’ll see some of the prettiest landscape and gardens in Niceville. Big trees, shady lawns, azaleas and roses adorn the roomy homes. Rocky Bayou Stables and the Ruckel Airport are situated along Forest Road. Rocky Bayou also has a beautiful, 18-hole, members-only, golf course. The Rocky Bayou Country Club recently renovated the course. The advantages of living in Seminole and Villa Tasso, east of Niceville, include a quiet, country life style, and quick access to two beautiful sites, Maxwell Gunter Recreation area at White Point, and Camp Timpoochee, run by the University of Florida. Both parks overlook the stunning Choctawhatchee Bay. Seminole has some of the only horse property available in the area. Choctaw Beach is just past Seminole, as you enter Walton County. Its residents enjoy a very quiet atmosphere with water views of Choctawhatchee Bay. Because it is bordered by Eglin Reservation and Choctawhatchee Bay, green forest sweeps one side of the area, and blue water the other. Valparaiso, quite possibly the prettiest small town in the area, is home to Eglin Air Force Base, the world’s largest military installation in the free world. With breathtaking views of Tom’s and Boggy bayous, stately oaks lining the waterfront, and several parks, it’s easy to see why founder John Perrine took one look at the land in the 1800’s and fell in love with it, naming it the Vale of Paradise, “Valparaiso.” While most of the traffic through town is headed to Eglin Air Force Base, plenty of people take in several of the amenities of this charming city. Housing ranges from gorgeous waterfront homes to modest brick ramblers, and cozy apartments. The sweetest properties follow Boggy Bayou and Tom’s Bayou shorelines, where the bayous open to Choctwhatchee Bay. Sailboats drifting by create a dreamy feel. Each year in April, the town rallies around Saturday in the Park, which features family-friendly events. Vendors offer everything from beautiful watercolors and photographs, arts and crafts, ceramics, handmade wooden toys, gourds turned into bright bird houses, quilts, and ornaments. There’s an antique car show, and the Valparaiso Garden Club’s yearly plant sale and flower show. The fire department puts on a kid-friendly performance, and you’ll glimpse people dressed in old-time pioneer clothes. People can learn a bit of history at the Heritage Museum, which faces the Park. Winding along Bayshore Drive near the water, boats launch off Florida Park and Lincoln Park, as families picnic, fish, and swim. Glen Argyle Park is perfect for a quiet lunch, great view, and a good book. The city is also proud of its renovated library, which recently made headlines for its dramatic new appearance, and updated children’s area. Several eateries line John Sims Parkway offering a variety of treats and cuisines. Every Veteran’s Day and Memorial Day, there’s a service at Doolittle Park to honor American servicemen and women. Trumpeters from the Niceville High School Eagle Pride Marching Band play Taps, there’s a twenty-one gun salute, and city officials and Eglin officers pay tribute as an Air Force fly-over culminates the ceremony. Doolittle Park was named for Lieutenant Colonel Jimmy Doolittle, who trained his B-25 crews for their famous daring raid against Tokyo at WWII’s onset. The raid lifted spirits at a time when all seemed hopeless. Many veterans, retirees and locals comprise the Valparaiso populace, and they are proud of its heritage. 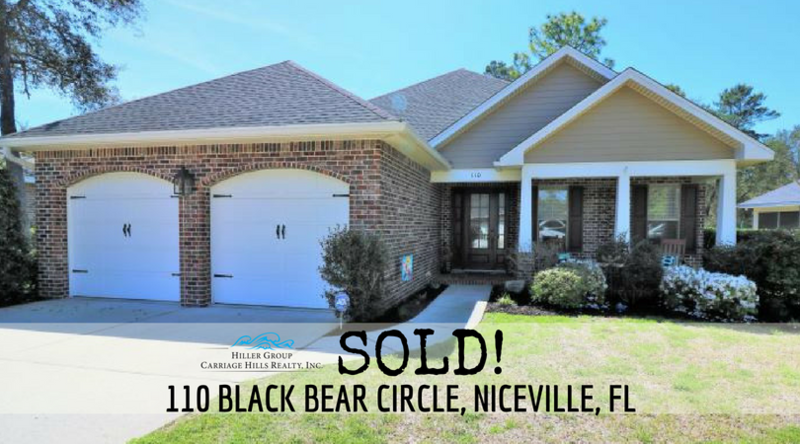 The market is BOOMING in Niceville, FL. This month, the median sales price of all homes for sale in our market is up 15%. This means the year-to-date sales price has increased by an average of 10.9% so far this year. Do you know what that means in terms of dollar amounts? 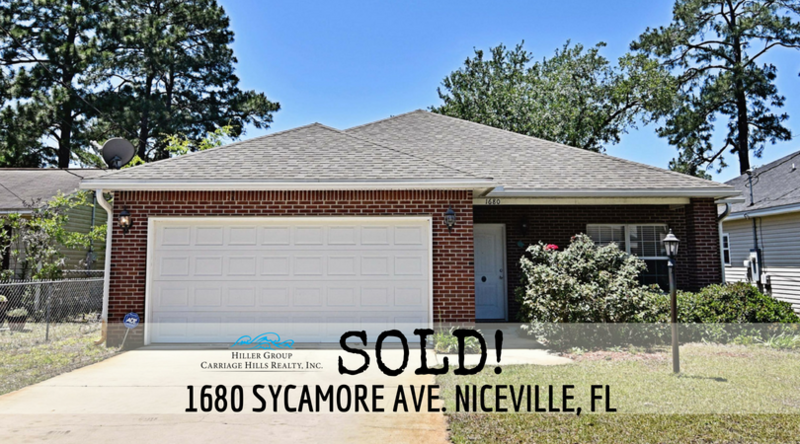 If you're a homeowner in Niceville, FL NOW is the time to sell your home! Want to know what your property is worth? CLICK HERE to learn more. Here are a few of our recently sold properties. 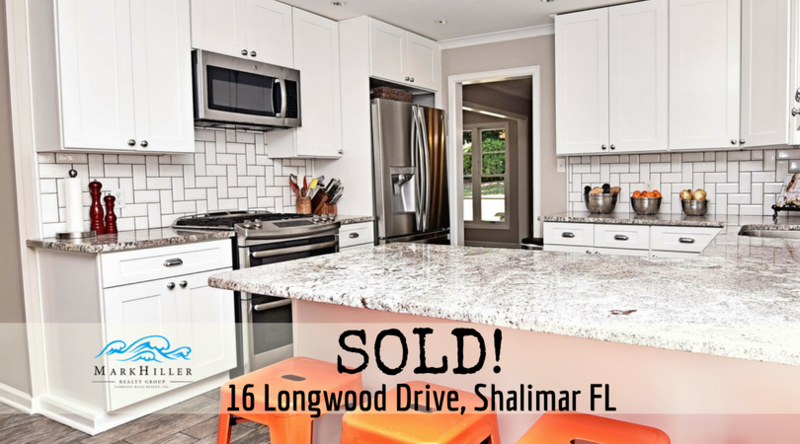 My team specializes in smooth transactions for both buyers and sellers. Confidence in the building market has dropped by 2 points in June according to the National Association of Home Builders (NAHB) & the Wells Fargo Housing Market Index (HMI). 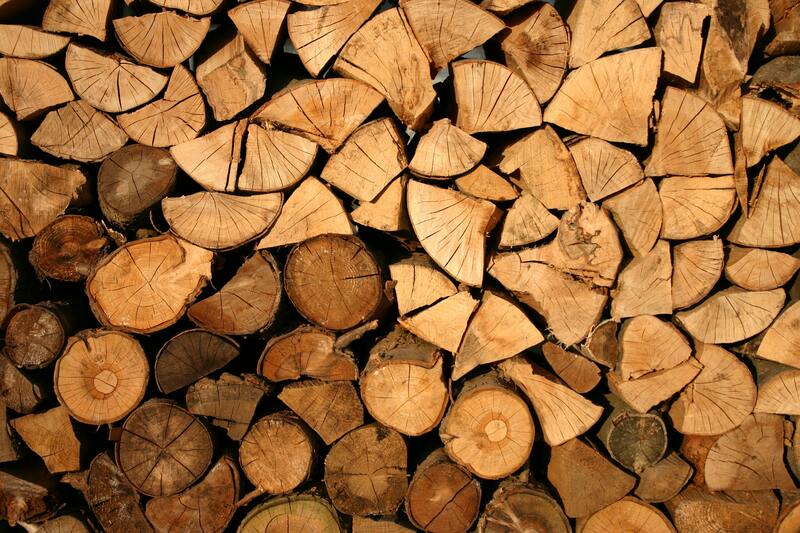 This is considered to be primarily due to the sharply elevated lumber prices reaching the market. NAHB Charman, Randy Noel states "builders are increasingly concerned that tariffs placed on Canadian lumber and other imported products are hurting housing affordability. Record-high lumber prices have added nearly $9,000 to the price of a new single-family home since January 2017." NAB Chief Economist Robert Dietz states: "Builders do need access to lumber and other construction materials at reasonable costs in order to provide homes at competitive price points – particularly for the entry-level market where inventory is most needed." The NAHB/Wells Fargo Housing Market Index gauges builder perceptions of current single-family home sales and sales expectations for the next six months as "good," "fair" or "poor." The survey also asks builders to rate traffic of prospective buyers as "high to very high," "average" or "low to very low." 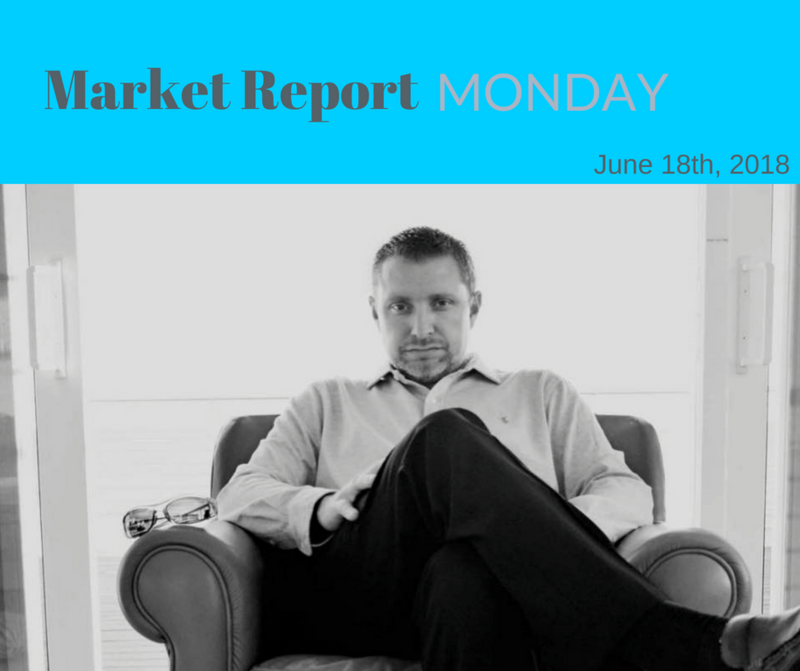 In June's survey, all three HMI indexes dropped a single point. The index measuring current sales conditions fell to 75, the component gauging expectations in the next six months dropped to 76, and the metric charting buyer traffic edged down to 50. Looking at the three-month moving averages for regional HMI scores, the Northeast rose two points to 57, while the West and Midwest remained unchanged at 76 and 65, respectively. The South fell one point to 71. What does this mean for our economy? In a market where new construction is hard to come by, builders like Grand American Enterprises that are looking to improve the quality of our community will have an even harder time matching competitive market prices due to this increase in prices. Bill Banfield, Executive VP of Capital Markets at Quicken Loans urges homeowners to find out how their local markets have been impacted by supply and demand. Every house on the market must be sold twice; once to a prospective buyer and then again to the bank (through the bank’s appraisal). With escalating prices, the second sale may be even more difficult than the first. If you are planning on entering the housing market this year, meet with an experienced professional who can guide you through this and any other obstacles that may arise.